Firefighters rescued several lucky dogs, cats and a bunny from a house fire in Ohio Tuesday. 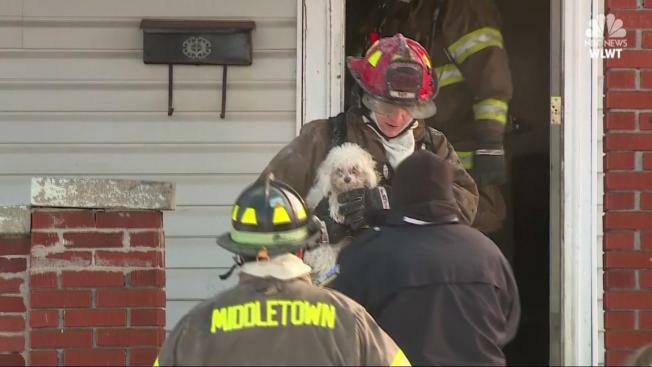 Video showed the firefighters carrying at least one small fluffy dog after the blaze broke out about 9:30 a.m.
Middletown Fire officials say the frigid temperatures made fighting the blaze challenging. "With the cold conditions it certainly makes the job a lot tougher," deputy fire chief David Adams said. "We had a fire hose freeze. We had to pick it up and pull back out because the water in the hose froze. The conditions make it a lot tougher of a job for all of us." All the animals survived and are expected to be okay.